Loaded with features. Easy to use. 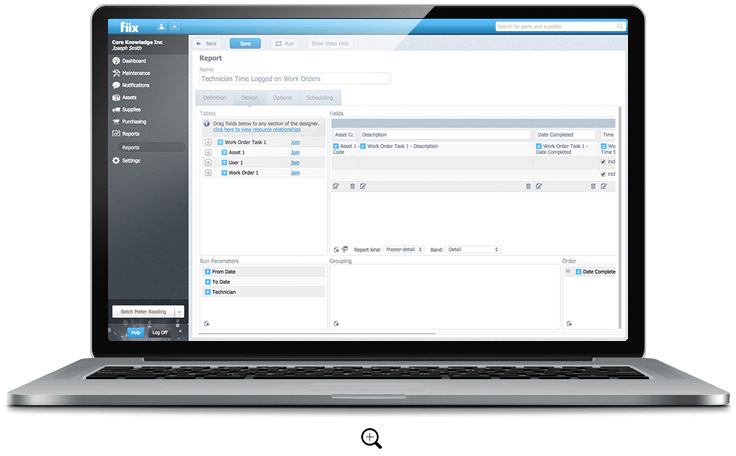 CMMS features designed for organizing, scheduling, and collaborating. 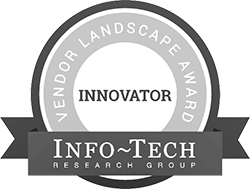 Built for your maintenance projects, your workflows, your goals, your team. 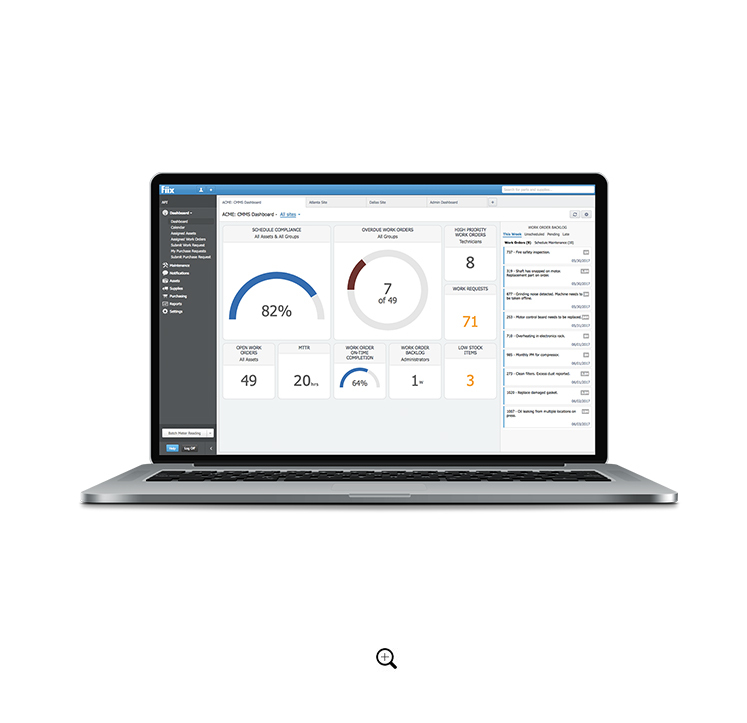 With the Fiix dashboard, we sort through all the data for you, giving you instant access to the information you need to improve performance. Whether it’s understanding your overdue work orders, low stock items, work requests, or even your mean-time-to-repair, we’ve got you covered. 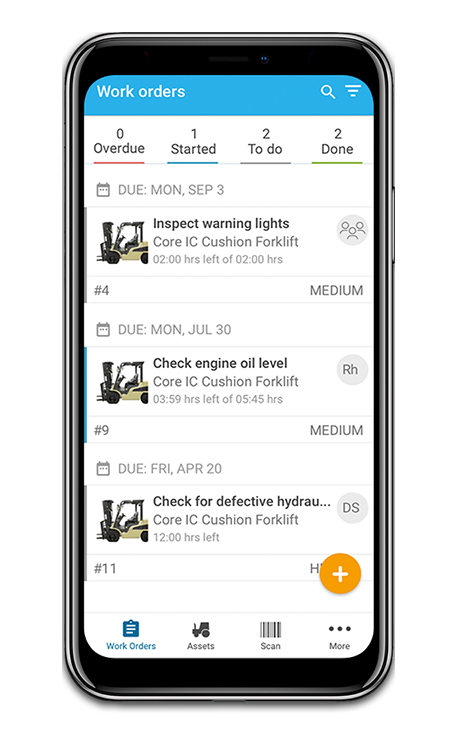 The new Fiix mobile CMMS software app lets you be truly mobile with your maintenance operations. New features like offline mode and easier work order management put everything you need at your fingertips—wherever work takes you. Download today and see for yourself what it’s like to work without limitations. We’ve gone the extra mile to bring you the most effective work order system yet, designed with simplicity in mind. Provide technicians with detailed work instructions created from standard job lists. Attach videos, pictures, manuals or files to work orders. Track technician time, parts, and supplies consumed. Add completion notes and even print to paper. Automate email notifications to technicians. Make and reuse task lists and procedures. Include multiple assets on the same work order for safety inspections or maintenance rounds. Close work orders with autofill completion and multi-task selection to bulk close tasks. Use advanced options to add multiple assets to work orders, clone tasks, and quickly build inspection rounds. Import your existing maintenance records, assets, and schedules from CSV or Excel to easily migrate from other work order software. Drag and drop and multi-select functionality lets you quickly add assets, clone records, and organize your assets into the perfect hierarchy. You can even add equipment using your mobile phone’s camera and GPS as you walk through your facility. Getting set up is a breeze with our walk-through training module, embedded video tutorials and setup meter to track your progress. Get preventive maintenance (PM) and safety inspections done on time, every time. Create preventive and scheduled maintenance work orders from your templates and trigger them by any combination of date, time, meter readings, alarms, or events. Create reusable tasks and schedules for preventive and scheduled maintenance. Create task libraries or clone PM tasks to rapidly build PM scheduled maintenance work orders. Nest your PM schedules inside each other to stack PM tasks and avoid multiple work orders. Make PM triggers fixed to specific dates, times and meter readings or floating to re-start the maintenance interval after the PM work order is closed. 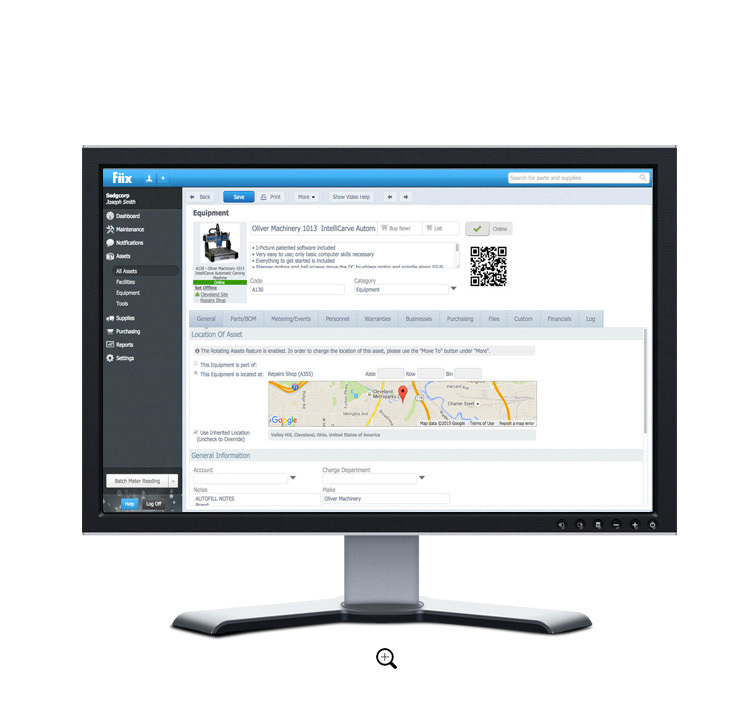 Manage all your MRO inventory with Fiix. 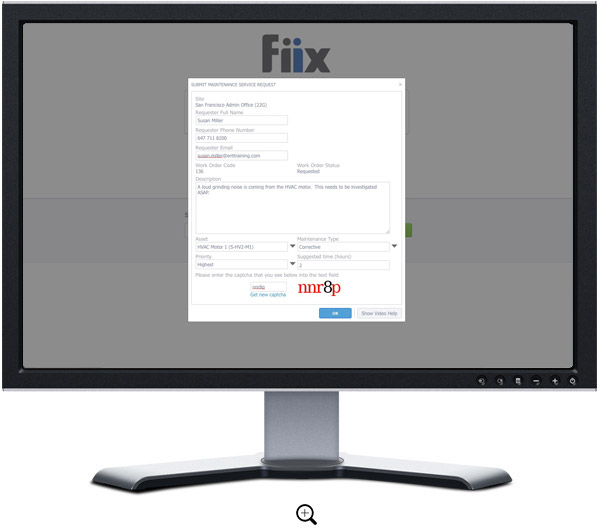 Our patent pending MRO tools let you quickly add missing technical data, pricing, and supplier information to your asset and supplies records. Use the built-in MRO marketplace, with over 1 million items, to find parts, compare pricing, and get reviews. Then use the purchasing module to send RFQ’s and purchase orders to suppliers or buy online. Stuck with overstocked supplies and decommissioned equipment? Post them to the marketplace and convert them into cash. Choose the reports you need to make better business decisions from our library of over 100 standard maintenance management reports. 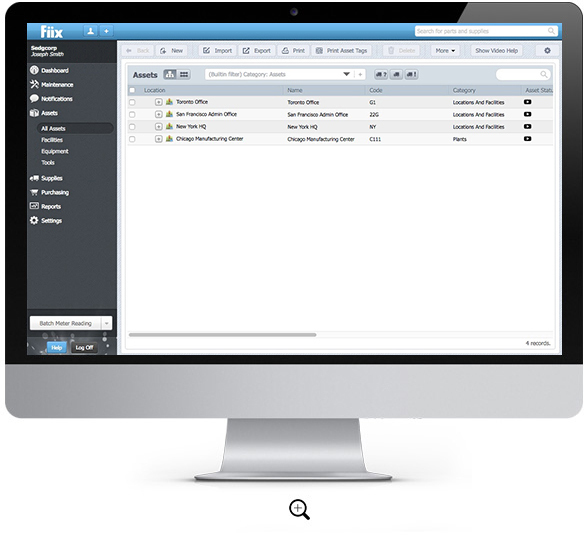 Instantly print or create PDFs and email reports to the people that matter. Automatically generate and send reports at regular intervals. Create custom printable list views of assets, work orders, schedules and more. Use the report writer to unlock all your maintenance data to create actionable custom reports. Or use your dashboard for a quick look at key maintenance KPIs. 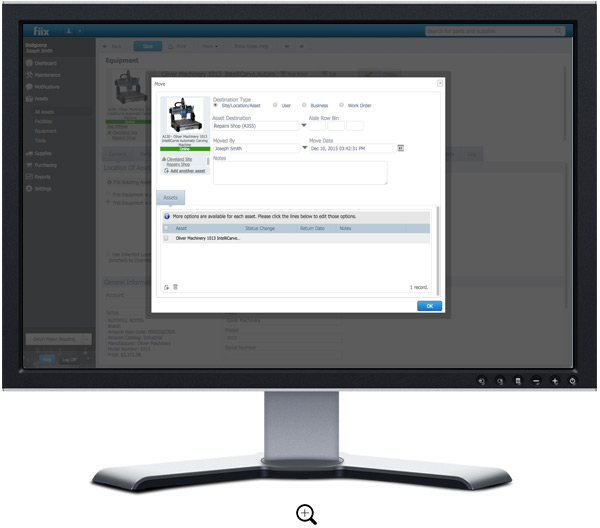 Create purchase requests, check inventory, or source and compare over 1 million parts. 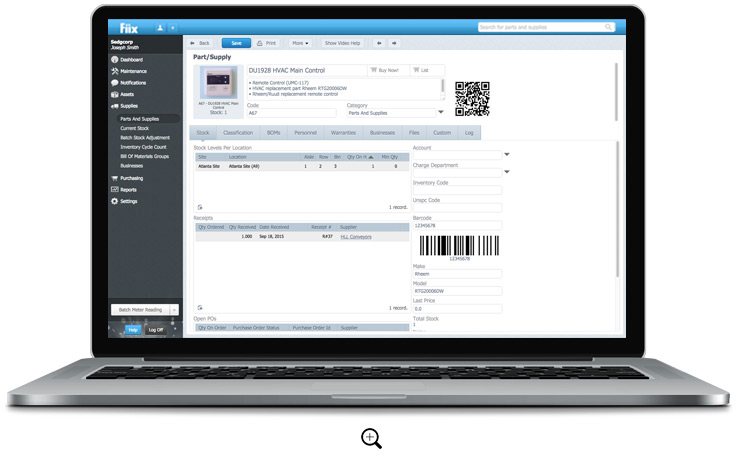 Quickly create and send RFQs or POs electronically or by fax or phone. Store worker certifications and control which features they can access. Put users into role-based groups and notify users/groups of only the events that concern them. Leverage multi-site control permissions location-by-location to view a roll-up of all activities in real time. 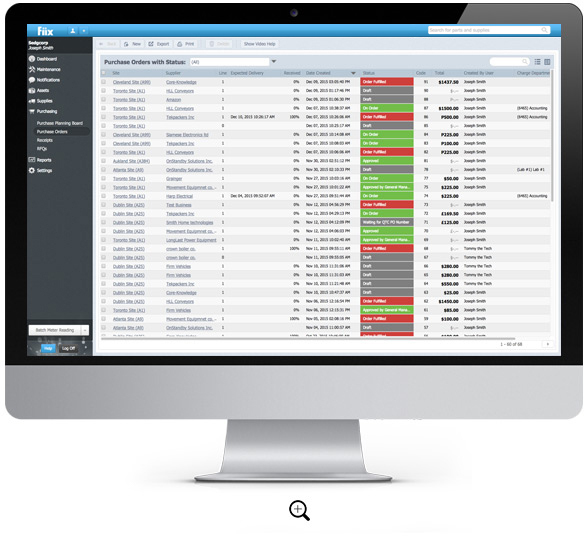 Our robust audit log tracks all activity in our maintenance software. Attach OSHA information, MSDS or other critical safety instructions. Centrally manage documents and versions to ensure ISO compliance and track worker training certifications and get expiry notifications. 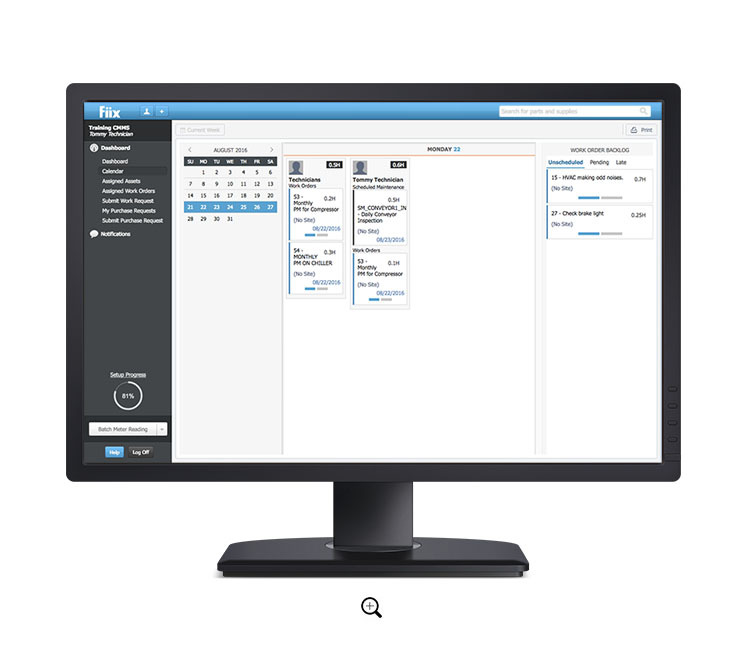 Fiix allows you to easily push and pull information to and from other enterprise software like ERP and financial software systems. From machine sensors to financial or ERP systems, we have an advanced API and growing family of connectors to get the job done. Use our machine adapters to monitor and record equipment meter readings and trigger notifications and service requests based on any number of priorities. Collect and display data in real time or archive it for future analysis. You can even create your own connectors using our SDK and developer sandbox environment. Your workflow is a customizable list of activities that allow you to automatically execute specified actions, like sending an email notification to your manager when a trigger is met. 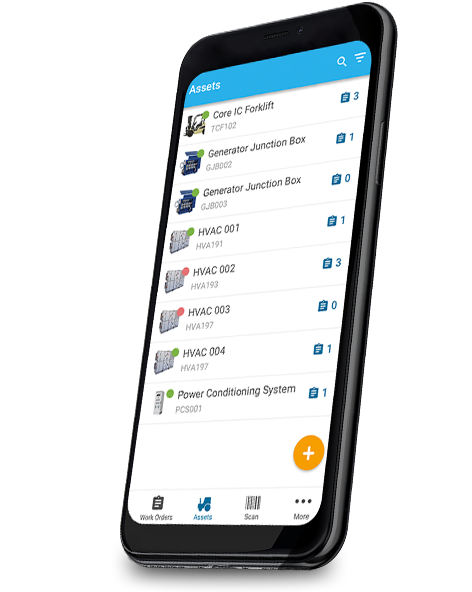 Track rotating assets and rebuilds as they move between work orders, people, facilities, sites and your external suppliers’ and contractors’ repair shops. Use our permission and rules engine to require personnel to make requests to move assets between physical locations and define who can approve or reject the requests for each site. Fiix will do the rest, so you’ll always know the status and location of your rotating assets and spares. You can also use rotating assets to manage your tool crib. 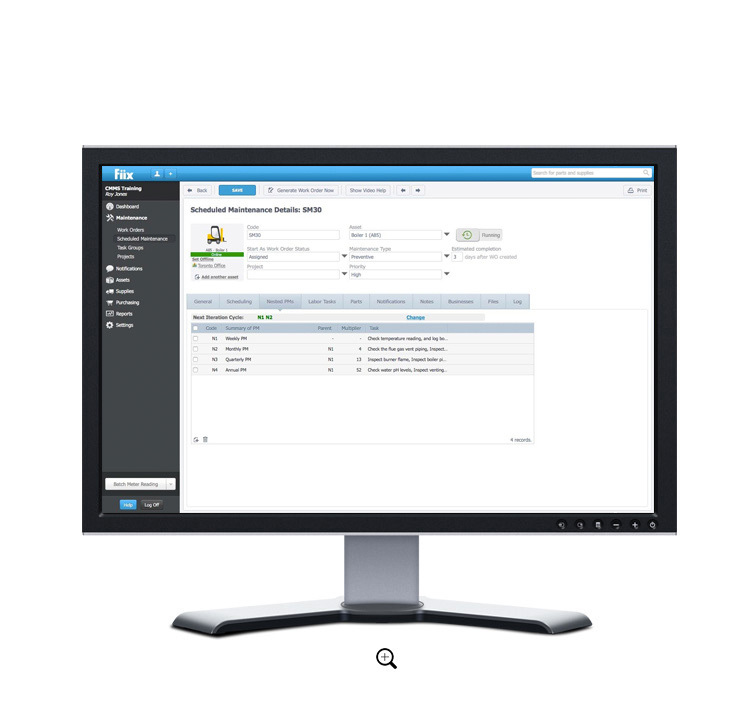 Guests can make service or work requests for maintenance, get notifications, and notify any named user of a work order status, all without logging in to the CMMS. Use your CMMS to track parts from request and purchase, to receipt and use. Start building user-defined purchasing workflows that match your company’s processes. Or, easily create purchase requests, check inventory levels, or purchase parts directly with our built-in parts and supplies sourcing tool. Forget the coin toss and start making insightful decisions today. 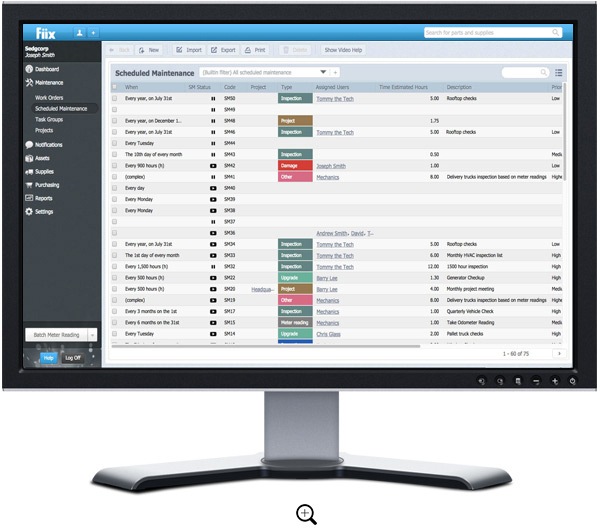 Our solution puts powerful data at your fingertips with over 100 pre-built professional reports. Schedule regular reports and automatically email them to managers, use the dashboard to see KPIs, or create your own customizable reports from over 50 editable templates with our custom report builder. With our advanced multi-site capabilities you can manage any number of sites anywhere in the world in any time zone or currency. Assign site-specific permissions to your personnel and attach them to the administrator group in one site or the technician group in another. All sites get rolled-up and displayed in real time so you can create detailed reports of all your maintenance activities with just a few clicks. Nest your preventive maintenance schedules inside each other to stack PM tasks on meter, time or event-triggered scheduled maintenance work orders. Keep track of all the moving parts. 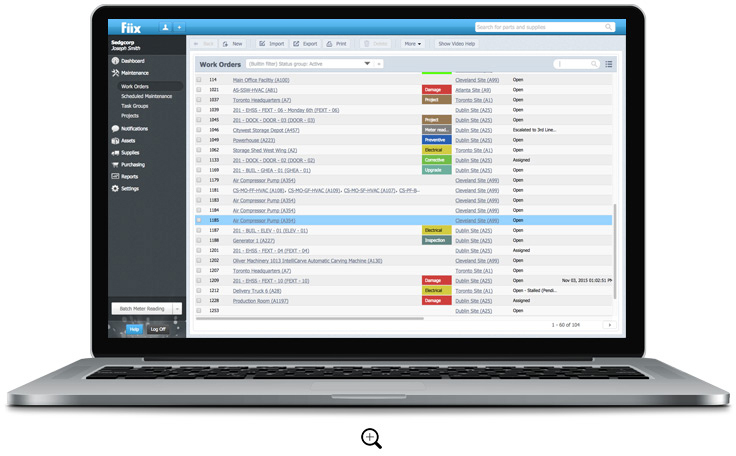 Manage rotating assets and rebuilds as they move between people, work orders, sites, and your external contractors’ and suppliers’ shops. Connect directly to machines to read their critical sensor data, trigger maintenance from equipment alarm states, extend equipment monitoring and analytics systems, or connect to other enterprise software through our pre-built connectors and API. Extend the power of our platform today by easily pulling and pushing data to and from your CMMS over rich and secure protocols. 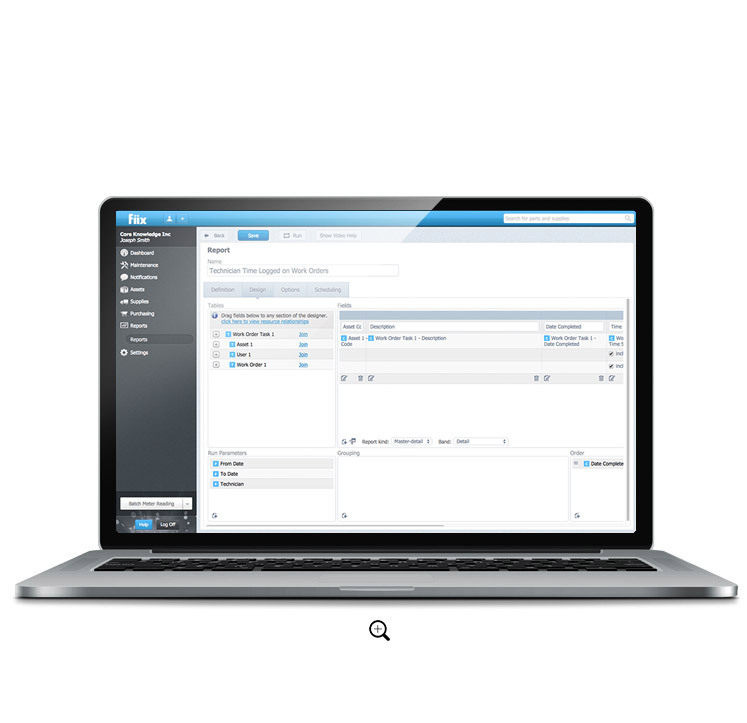 Transform your CMMS to match your workflows. Customize the appearance of work order forms with drag and drop functionality, add custom fields, rename or translate field labels, build custom drop down field options, or turn features on or off to make your CMMS as easy or as sophisticated as needed. Have another custom feature in mind? Learn more about how we can build custom features in weeks.